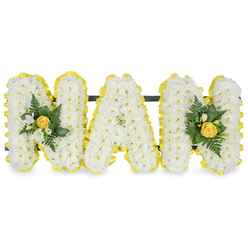 Flower tributes are a classic way to honour the life of a loved one that you are going to miss deeply. This wonderful arrangement is made of white chrysanthemums, elegant orchids, anthurium, white veronica and purple agapanthus. It is an appropriate way to express your feelings in time of loss. Very accommodative. I placed a last minute order and they delivered on time for the memorial service. 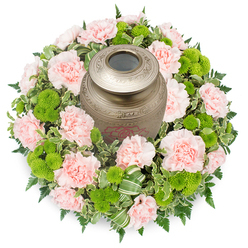 Arranging a funeral has its ups and downs and it's easy to forget flowers. 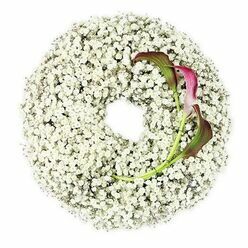 It happened to me and were it not for Handy Flowers who had the flowers delivered fast, we might have conducted the ceremony without funeral wreaths. A great service indeed! 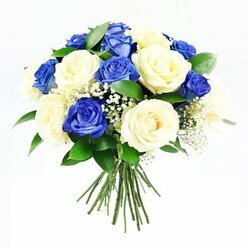 The local florist has failed in their delivery of the requested flowers. 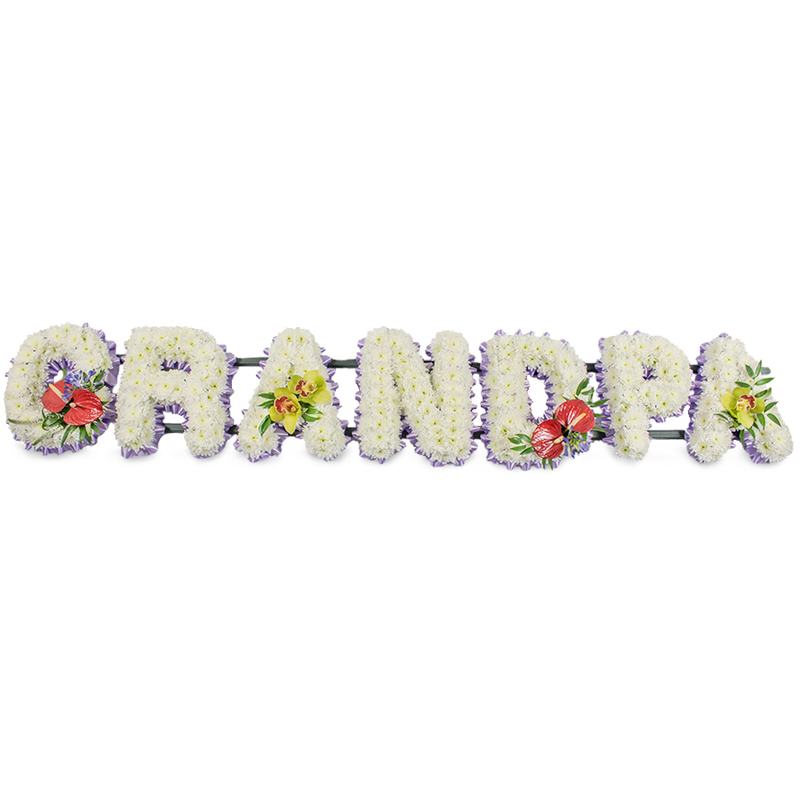 We had to make a last-minute flower delivery. 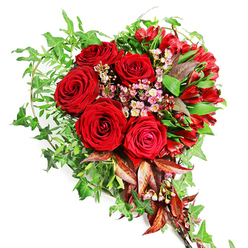 We contacted your company and asked for the fastest flower delivery service. It was arranged and the flowers arrived before most of the guests arrived. To be honest, I didn't want to order the funeral flowers online but my wife insisted that we should trust Handy Flowers. Contacted them and asked for a next day delivery and they said there was no problem. Easy and convenient service. 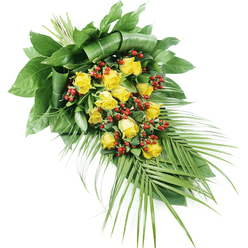 Elegant arrangement delivered on time. Thank you very much. Perfect arrangement! I appreciated how friendly and helpful the customer service team was. They helped me choose the most appropriate arrangement to honour the life of my dear grandpa. Your help is much appreciated!